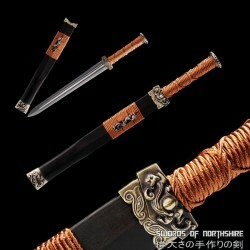 A knife can be a crucial weapon in a battle or an essential tool for survival. 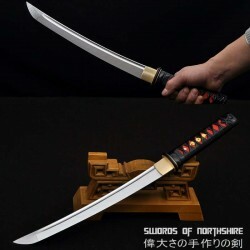 Whether you’re battling villains or testing your survival skills, our authentic handcrafted samurai knives will be just what you need. 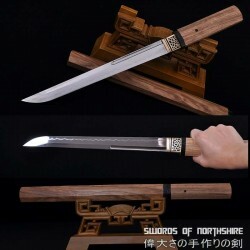 Each of our knives is crafted in the traditional Japanese style with high quality steel and materials. 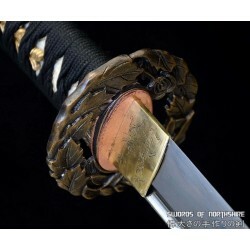 Our Japanese tanto knives are handmade with the utmost attention to detail for superior quality and performance. 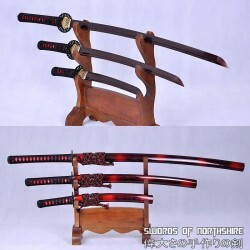 Look at our selection of knives and find the tool that best suits you. 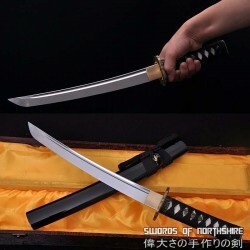 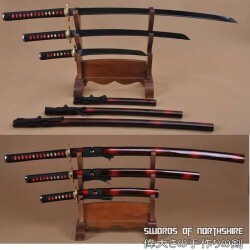 If you need a longer sword for field warfare, check out our wakizashi and katana swords. 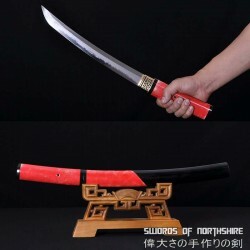 Japanese knives were typically called tantos and could be used in close-quarters combat, martial arts, ceremonial acts, or in modern times, as tactical knives. 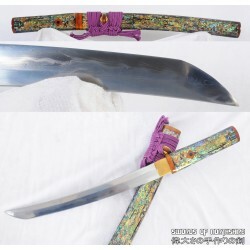 The Japanese tanto knife came about during the Heian period in feudal Japan. 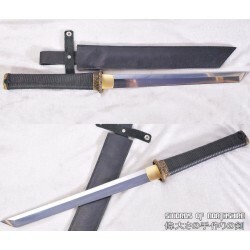 It was created primarily as a stabbing weapon but the tanto blade could also be used for slashing. 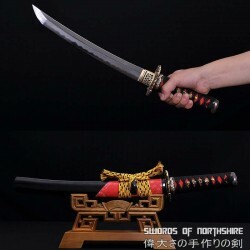 It was worn mostly by samurai but sometimes women wore them in their obi for self-defense. 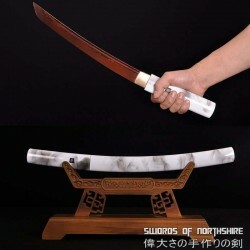 During the Kamakura period, tanto blades were crafted to be more aesthetically pleasing and gained popularity.